Stock product - detailed vector illustration - Illustration Vector Collection - Gymnastics Background Summer Games 2016 - created by Aurielaki. Image formats EPS AI JPG. SKU: Gymnastics-Background-Summer-Games-2016-Vector-Illustration-AurielAki. 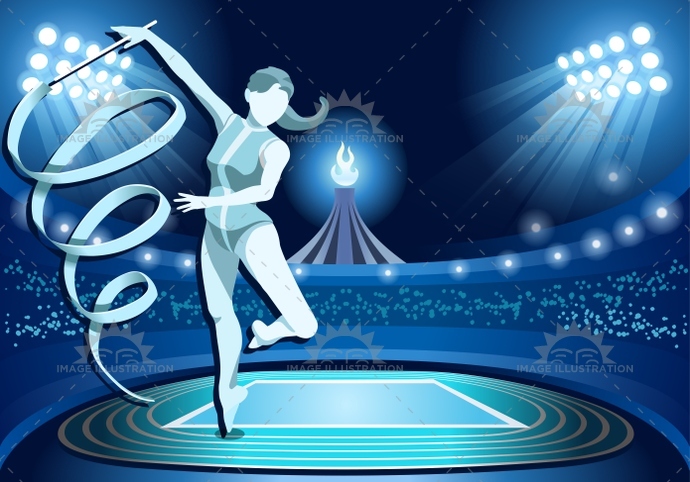 Categories: Sport Vector, Stadium Background. Tags: 2016, app, arena, athlete, athletics, background, celebration, championship, concept, country, dance, event, federation, female, field, flame, game, girl, gold, group, gymnastics, icon, illustration, illustrative, infographic, international, layout, league, light, night, nocturnal, official, ribbon, ring, sport, stadium, summer, symbol, template, torch, vector, web, winner, woman, world.